AKA-FLOW is a specific equipment within AKW Equipment & Process design offer range, as it utilizes a dry processing route. 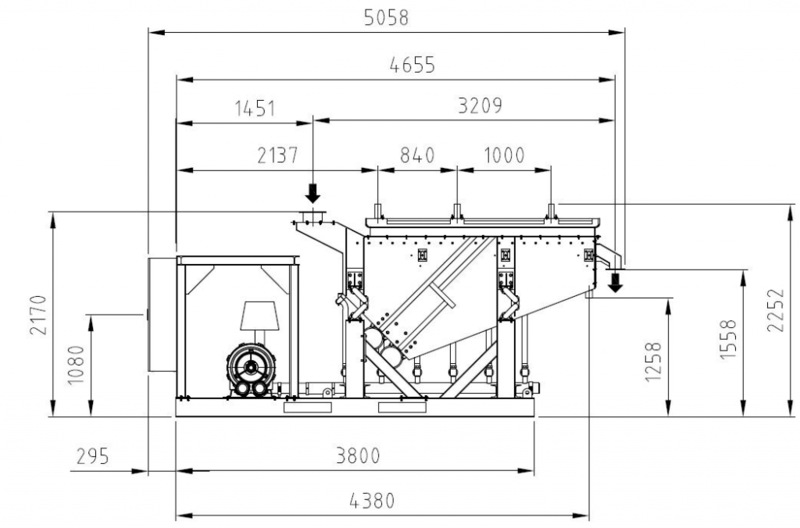 This is a dry working gravimetric sorting device and used for preliminary separation and enrichment of materials of different densities as a possible pre-stage to the wet mechanical separation processes. Limited availability of water in arid areas requires additions to the wet mechanical processing technology. The functionality of AKA-FLOW is based on a combination of an air fluidized bed with a specially developed discharging system. Studies with different raw materials have shown outstanding performance both in terms of throughput, as well as classifying and density sorting.The optimum grain size is ranging from 30 μm to 1 (2) mm. Depending on the size of the AKA-FLOW and on the material, throughputs between 3 – 6 t/h and 9 – 18 t/h can be achieved.